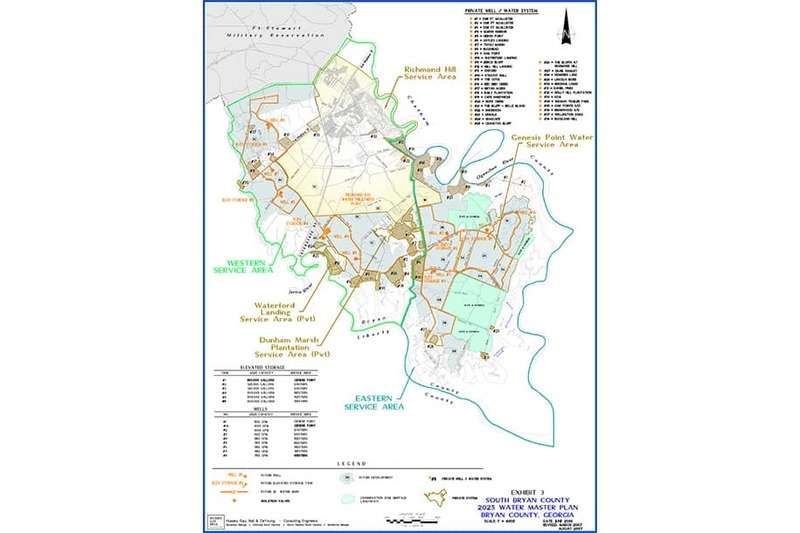 In 2005, Hussey Gay Bell assisted Bryan County with the development of this water and sewer master plan as a planning tool for infrastructure required to meet the 2025 potable water and sanitary sewer demands of the County, which currently has little to no infrastructure. 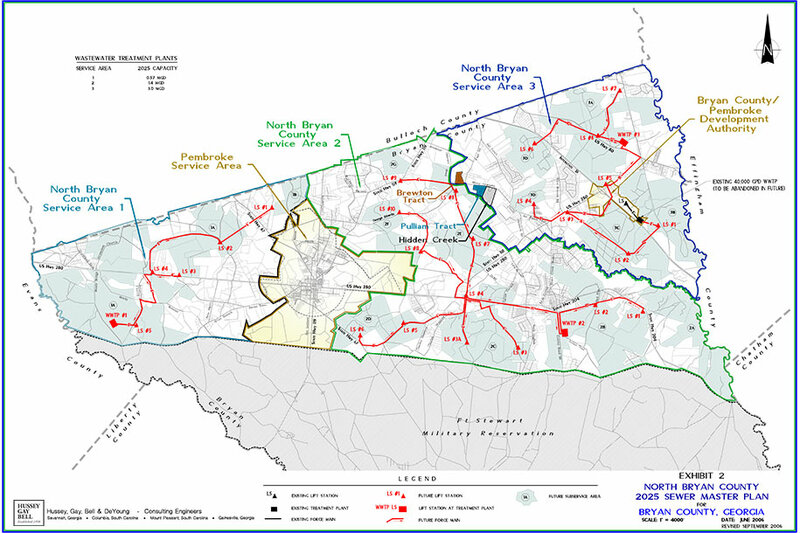 The study defined the 2025 water and sewer capacity requirements for North and South Bryan County based on land use maps and determined service areas, major infrastructure requirements and proposed transmission routes and locations. 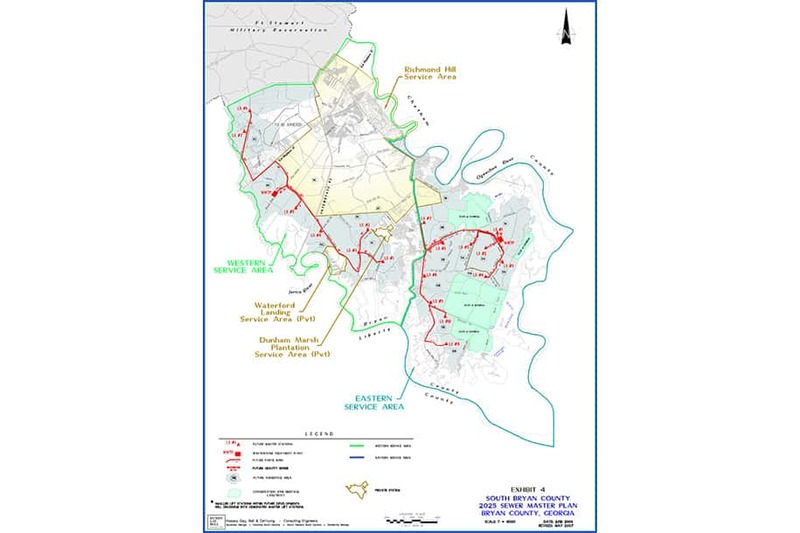 Two critical elements of the report addressed the water source and disposal of treated wastewater. 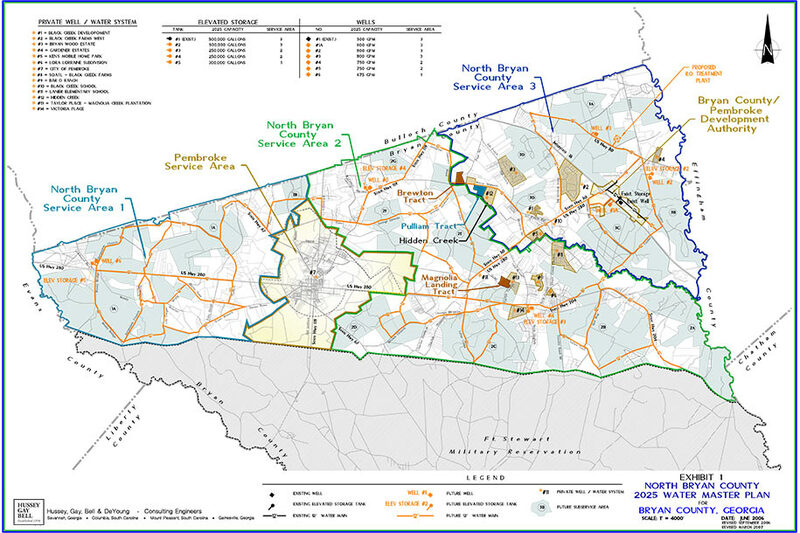 The Bryan County 2025 Water & Sewer Master Plan project was designed to help the County develop a sound and competitive infrastructure for future growth and development.